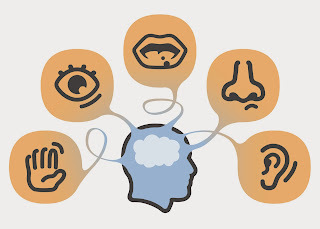 Unusual sensory processing experiences are common among individuals with autism spectrum disorder (ASD), and are now part of the Diagnostic and Statistical Manual 5th Edition (DSM-5) diagnostic criteria. Although previous research indicates that ASD traits are associated with sensory scores in the general population, it is unclear whether they characterize the “broader phenotype” of ASD which includes individuals with mild impairments in social and communication skills that are similar to those shown by individuals with ASD, but exhibited to a lesser degree. A study published in the Journal of Autism and Developmental Disorders sought to replicate the reported relationship between ASD traits and sensory traits across the entire range of symptom severity, and to investigate its specificity in a large sample of adults both with and without ASD. Adults (n = 772) with and without an ASD were administered the Autism Spectrum Quotient (AQ) together with the Adult/Adolescent Sensory Profile (AASP), the Cardiff Anomalous Perceptions Scale (CAPS), and the Glasgow Sensory Questionnaire (GSQ), all questionnaire measures of abnormal sensory responsivity. 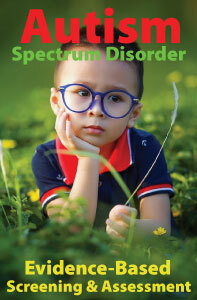 Of the 772 participants, 23 reported having autism and 55 reported a first-degree relative with the disorder. Another 147 participants indicated having another psychiatric condition, such as depression, and 85 reported having migraine headaches on a regular basis. The results indicated that self-reported atypical sensory experiences were positively correlated with ASD trait scores on all three sensory questionnaires. The more autistic traits, the more sensory problems he or she reported. Individuals with the most autism traits, such as narrow interests or social difficulties, showed high levels of atypical sensory behavior on all three questionnaires. Although the study’s sample was predominantly (72 %) female, the investigators found that the relationship between sensory symptoms and ASD traits was very similar for both genders. They also found that ASD traits were correlated with levels of anxiety symptoms. Participants who reported being anxious had both more autism traits and more unusual sensory responses than those who were not anxious. This suggests that sensory processing issues and anxiety symptoms are related, yet separate, phenomena. These results have implications for the integration of sensory processing issues into the diagnosis and assessment of ASD. 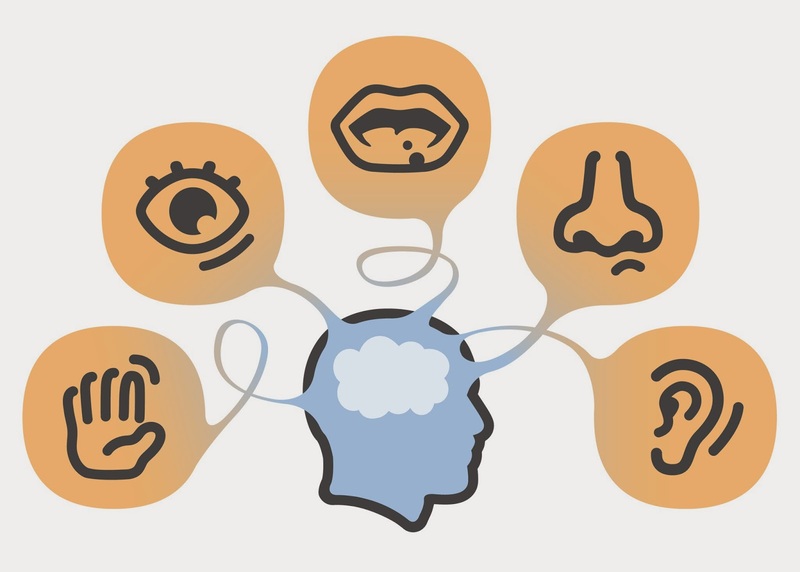 For example, the study confirms the association between sensory experiences and autism across the entire autism spectrum, suggesting that sensory traits might serve as a dimensional measure of the severity of ASD. 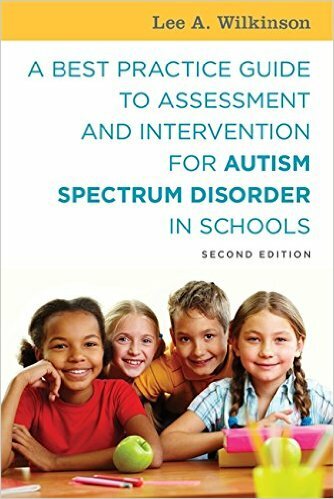 It should be noted, however, that unusual sensory experiences are not unique to ASD. The researchers found that trait anxiety, a history of psychiatric conditions, and a history of migraines were all associated with higher sensory scores, even after controlling for ASD traits. Thus, individuals with these conditions may report high levels of unusual sensory experiences, which could potentially lead to a misdiagnosis of ASD. It also appears unlikely that atypical sensory experiences underpin all ASD symptoms. Even so, it does appear that if sensory symptoms were treated successfully, then some core ASD symptoms, such as stereotypies, might also be reduced (or vice versa). Further research is needed to examine this issue. Finally, the cognitive/biological basis of the relationship between autistic traits and sensory problems is unknown, and further work is required to determine whether improving sensory processing could effectively reduce the severity of ASD symptoms.